Come explore Impressions of Zion, a special art exhibition at the Zion National Park Museum. This two-month exhibition features the works of contemporary artists Erin Hanson and Royden Card. 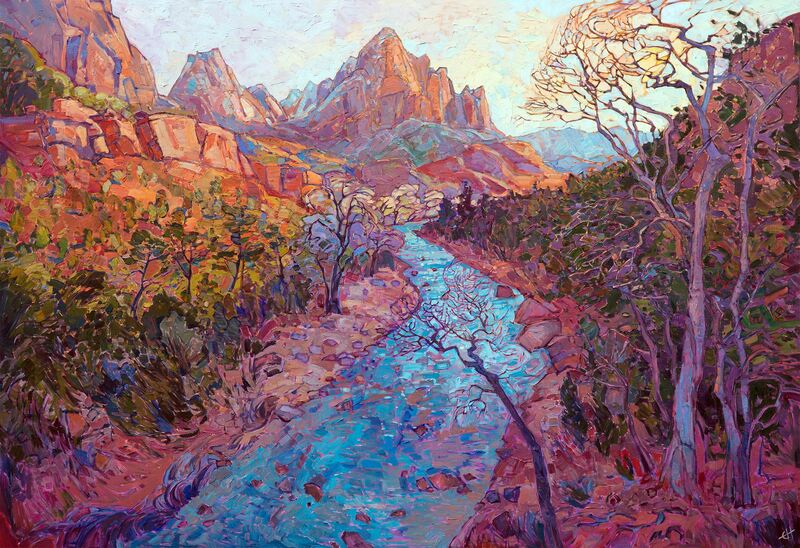 Each artist has a unique, colorful style and will bring vibrant new life to Zion's familiar landscapes. Zion has been an inspiration for dozens of famed artists throughout history. We are honored to continue the tradition of art inspired by our national parks. The Zion Natural History Museum is located within Zion National Park, 3.7 miles from the main entrance and visitors center. 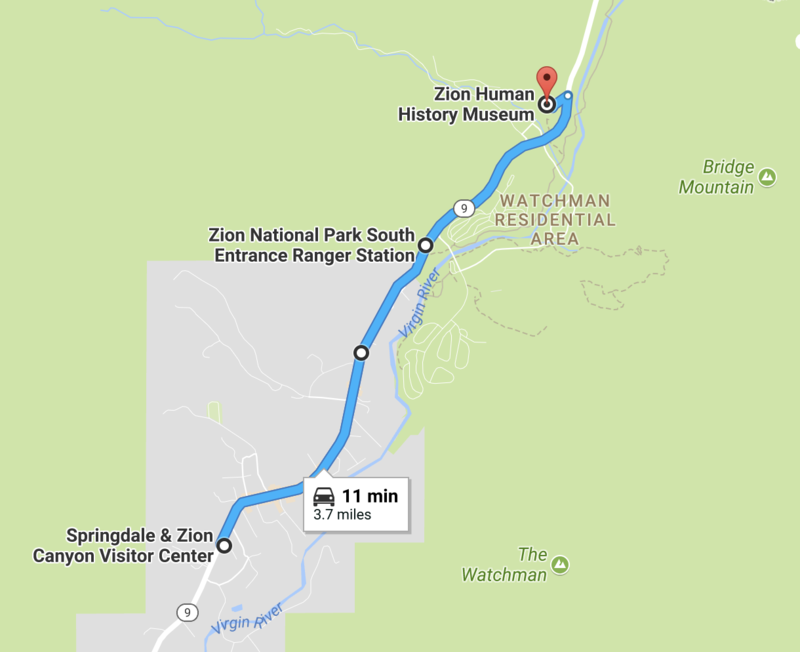 The museum is situated just off of Zion Park Blvd past the South Campground. Please note, cell service in the park can be intermittent. The Zion National Park Museum Collection contains over 300,000 documents, photographs, oral histories, slides, and maps related to topics ranging from the founding of the park to the Civilian Conservation Corps, as well as the current activities of the park. Also, approximately 22,500 objects are housed in the natural history collection at the Zion National Park Museum, including study skins of mammals and birds, insects, paleontological specimens, and preserved plants. Zion National Park's collection of cultural history artifacts contains over 30,000 objects that tell the stories of prehistoric settlements in the region, the early pioneer settlements and development of the canyon, the historic lodge and the Union Pacific Railroad, projects completed in the 1930s by the Civilian Conservation Corps, the planning and implementation of the park's shuttle system, and the historic and contemporary works of art that have depicted Zion National Park.